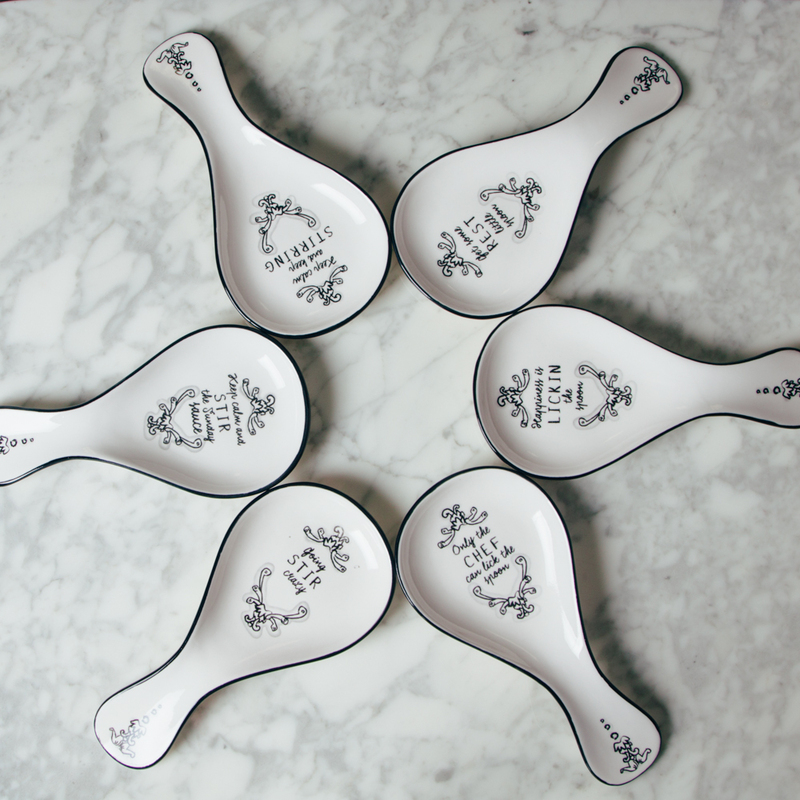 Our popular Mandy collection features sweet and inspiring messages on beautiful, practical pieces for your home. 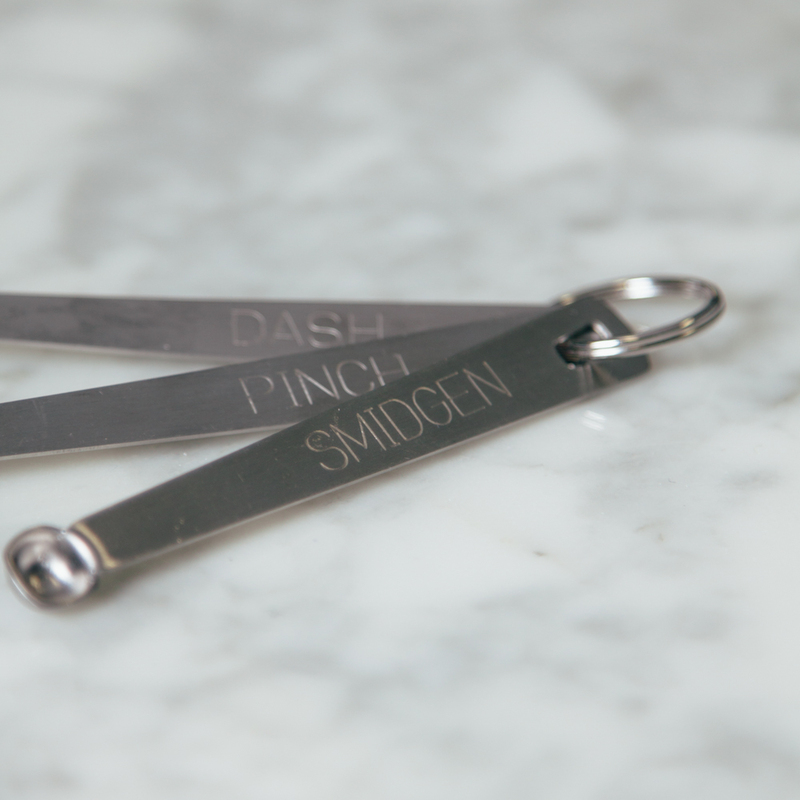 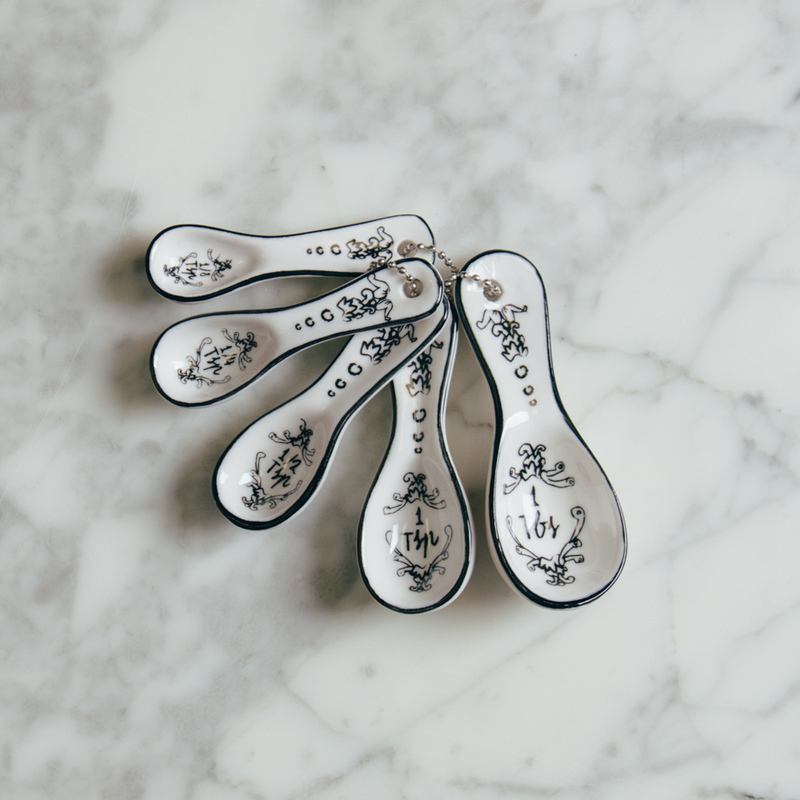 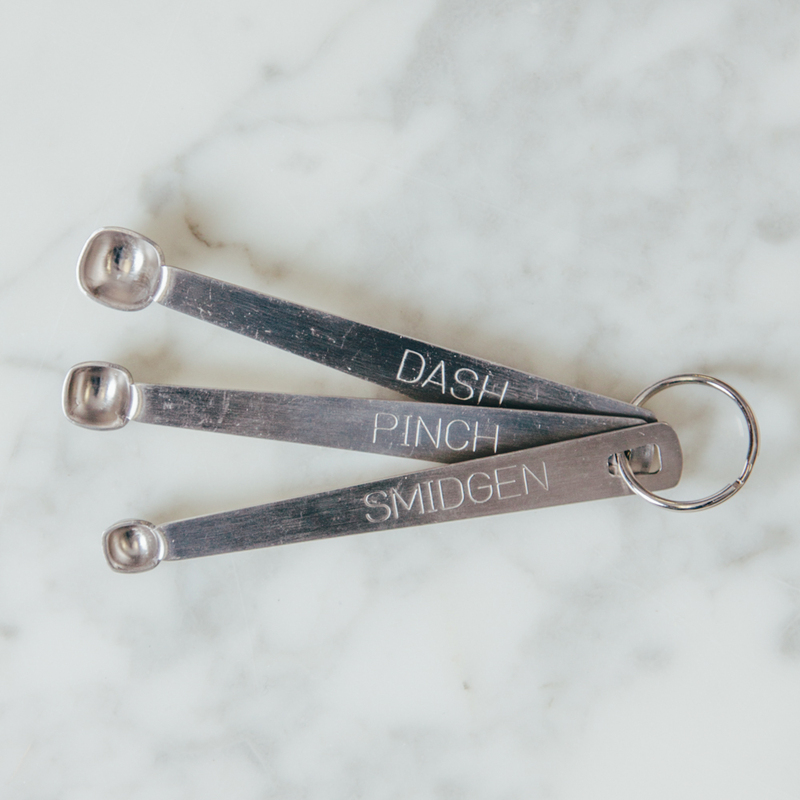 This set of measuring spoons is collected on a handy chain. 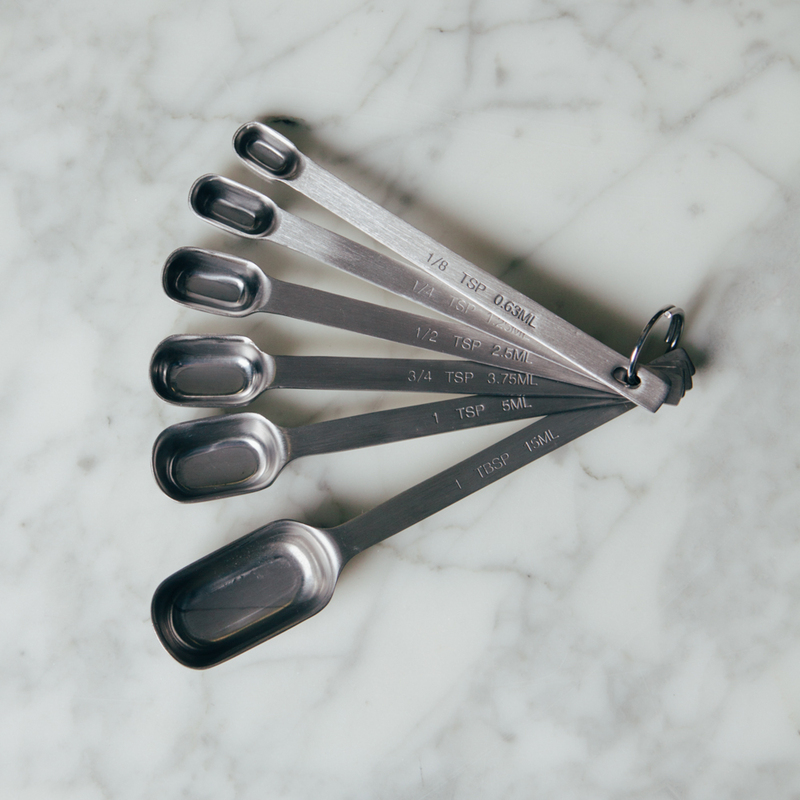 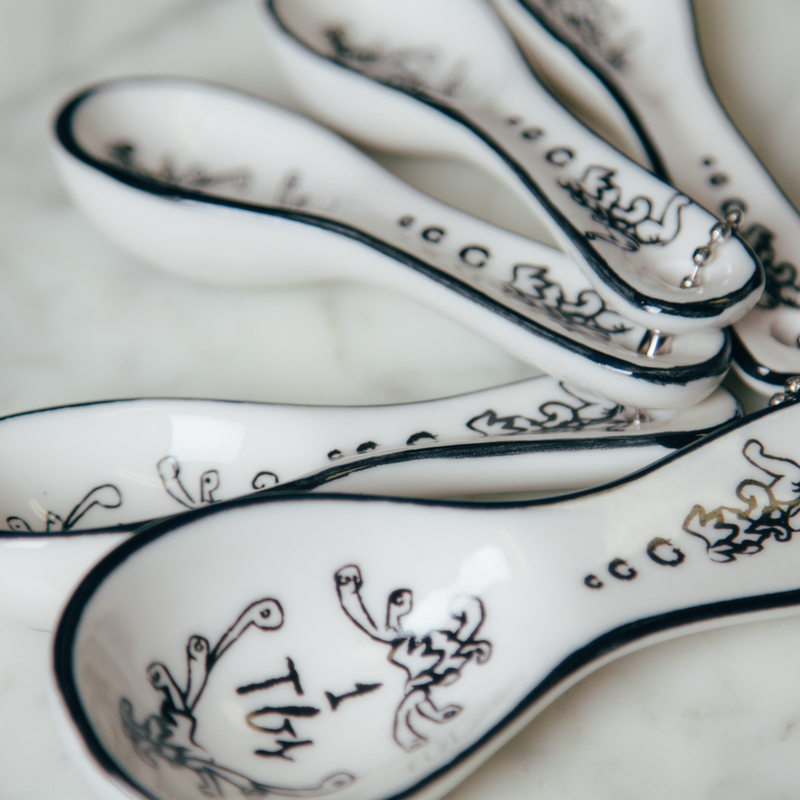 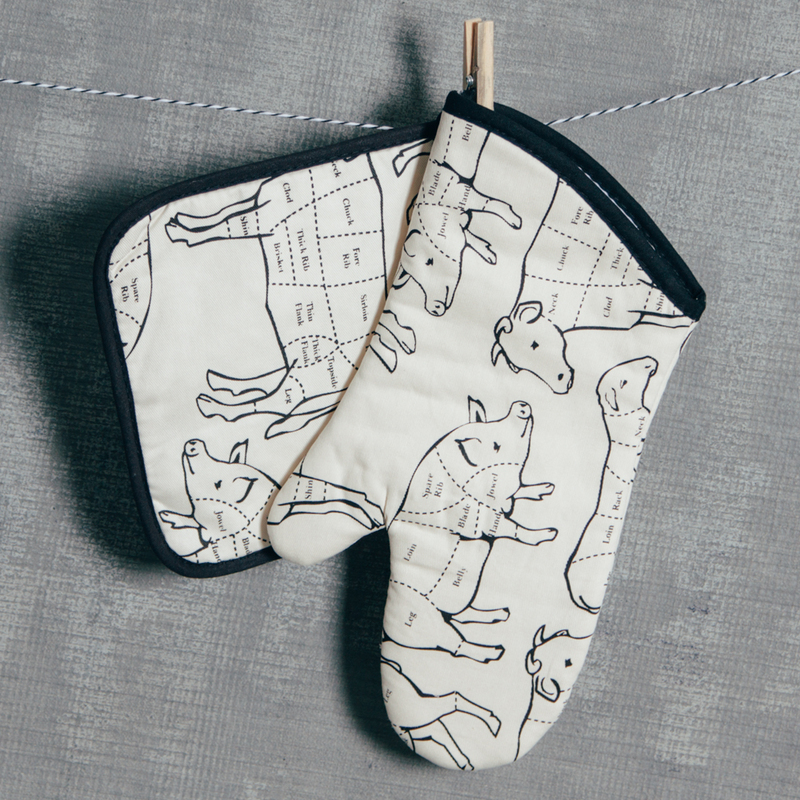 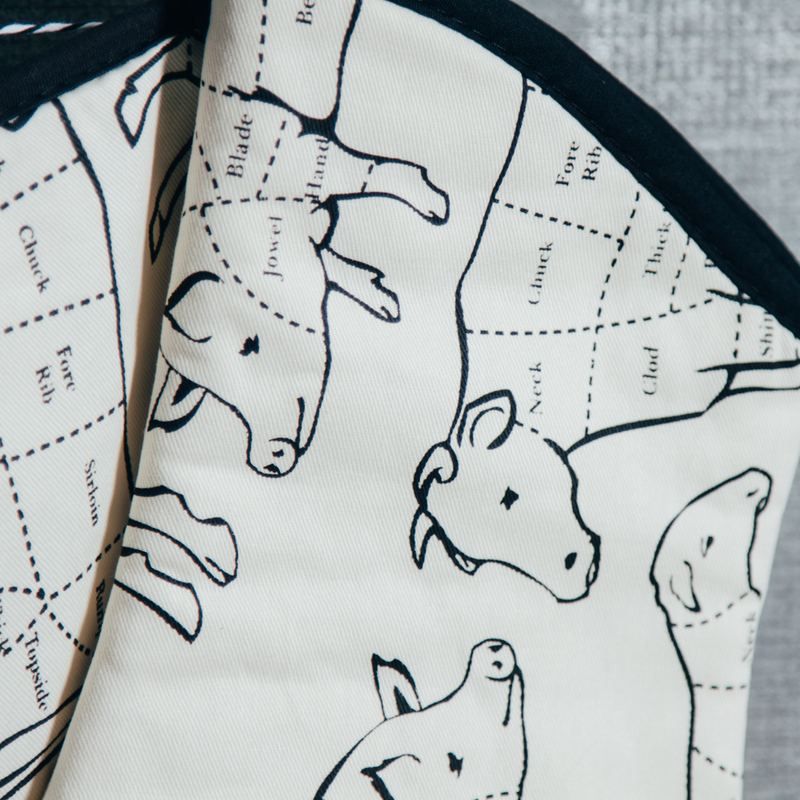 Hang them in the kitchen so you can measure out all of your ingredients perfectly. 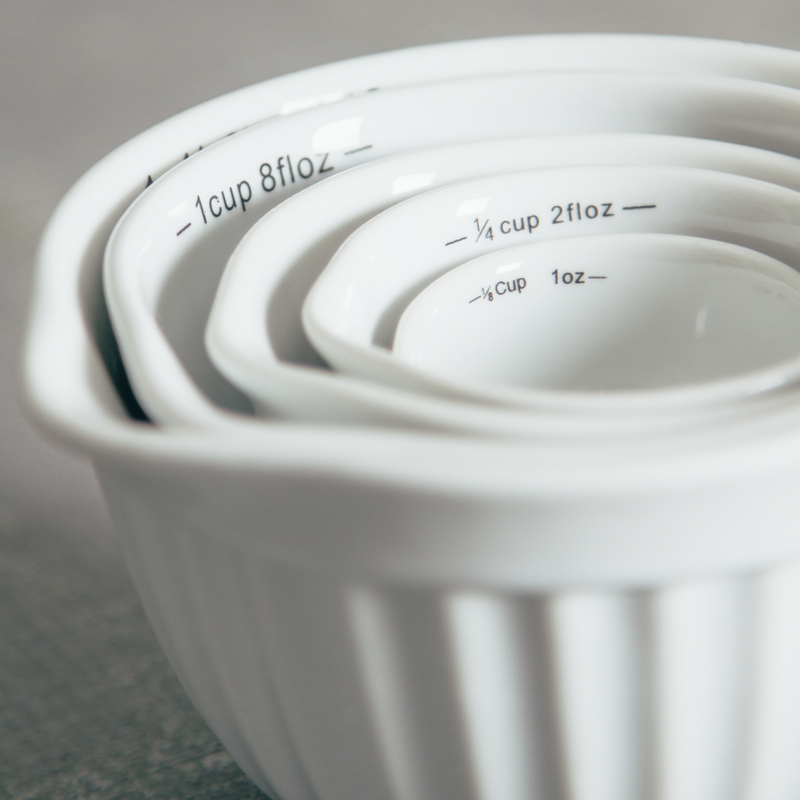 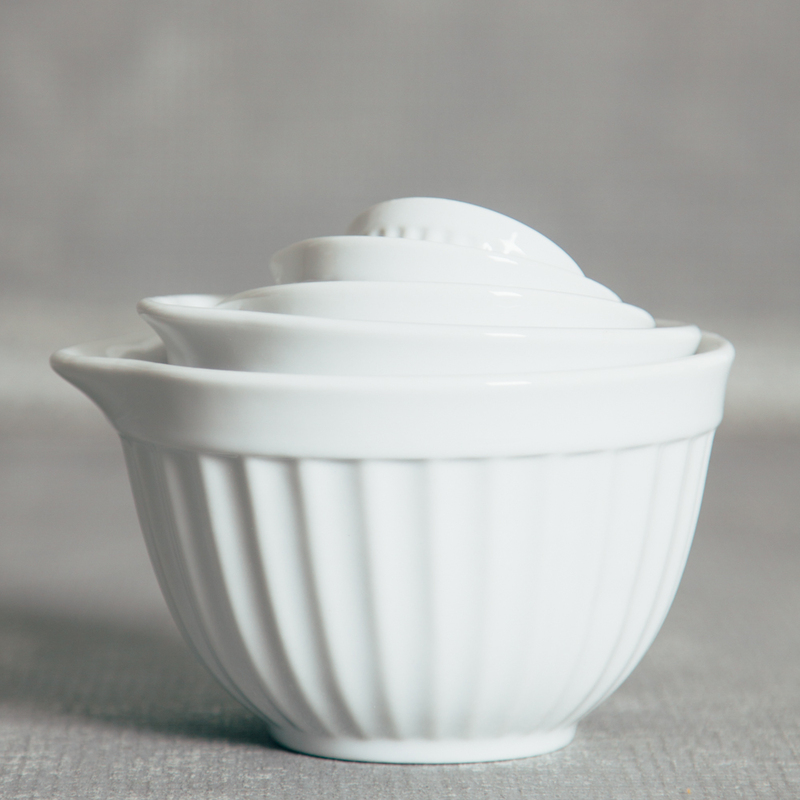 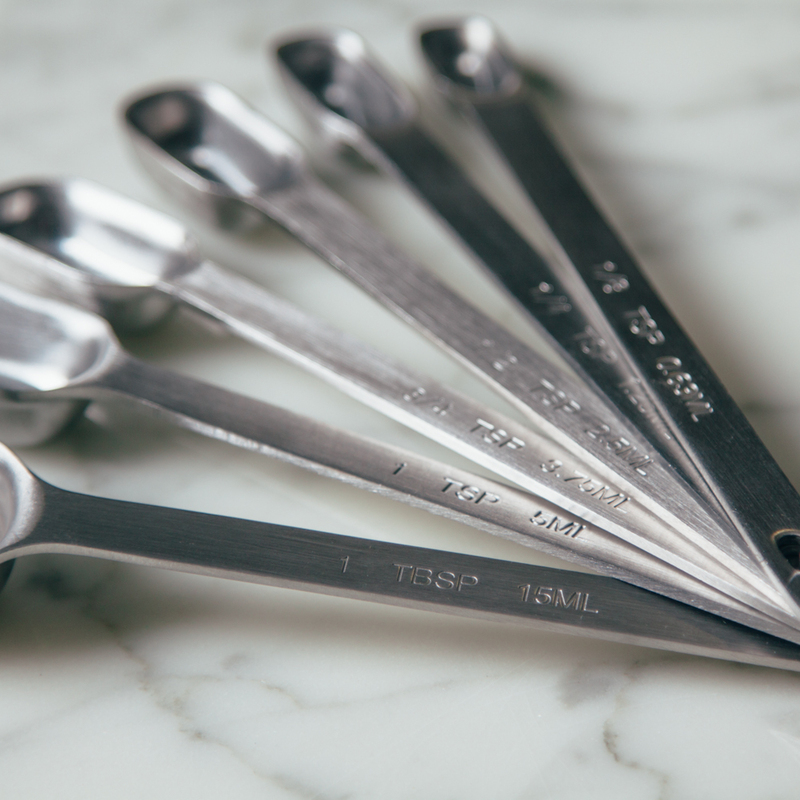 Pick up a matching measuring cup and get baking!